4 month to go until the next big trip to America. To say I am excited would be a huge understatement! 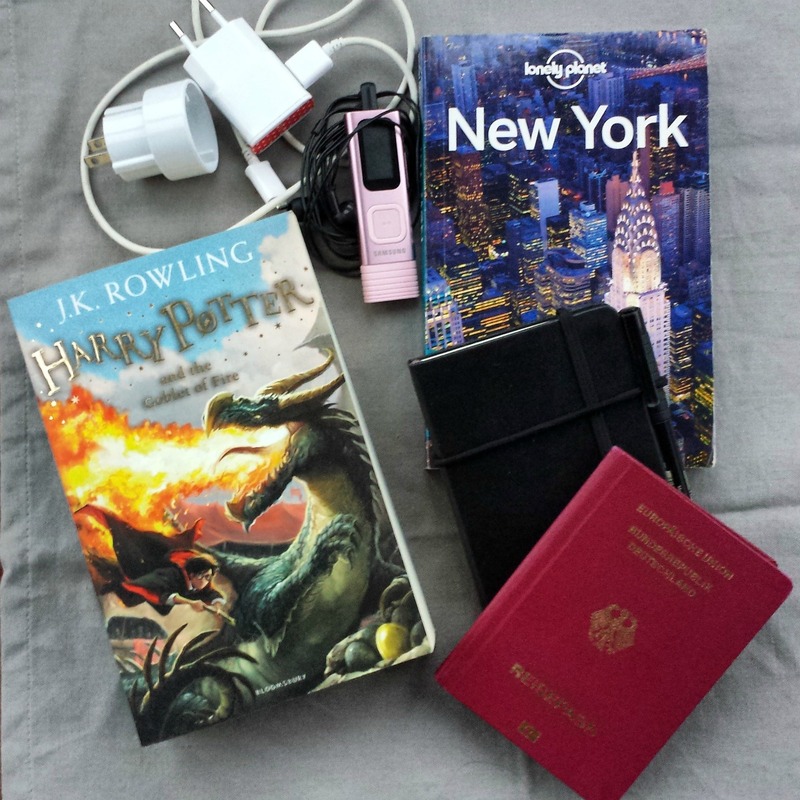 My travel journal for this trip is already waiting on my book shelf impatiently. As always we will visit several places and cities. We have some fun adventures planned already and hence we have a holy lot to research and book in advance. To me this is also a huge part of the whole travelling fun and in some kind even quite satisfying in itself. But the downside of engaging in ALL the travel planning for months without actually going somewhere is definitely the incredibly itchy feet you get. Whilst in my day to day life I have neither the patience nor the time to keep a journal consistently I make sure to capture my memories during my travels. I think it is awesome to have these little books full of memories. I open it, read a few lines and almost instantly walk down memory lane, travel journal in hand, head in the clouds. It’s a little vacation on it’s own. 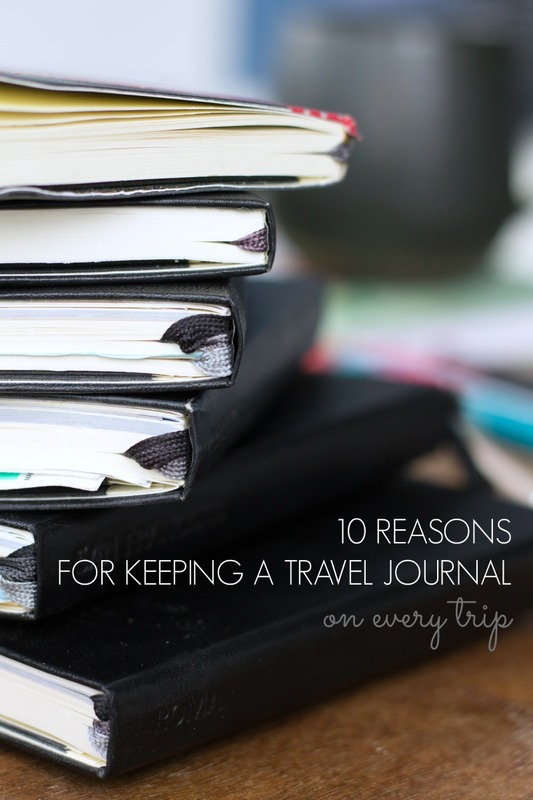 But apart from that there are more reasons why I think keeping a travel journal is an awesome idea. When I travel I make sure to take some time every day to write down what had happened, what I have seen and experienced. Usually I take between 10 and 30 minutes a day depending on what we were doing. When we travel so much happens in one short day that it’s hard to take everything in properly. To me writing everything down in my travel journal helps me to really focus on my day and process all impressions. It makes travelling much more intense. Next to enhencing the travel experience, writing down my days helps me to unwind and decompress. Too many impressions tend to overwhelm me and by writing down my thoughts I can empty my brain and make room for new impressions. I am also a nicer person to be around when I take my time and have a medium to gather and collect my thoughts. My travel journal usually is also one of the places where I keep an overview of my itinerary. As probably everyone nowadays, we have our flight information and booking references on our phones. But we all know phone batteries can die, phones can be lost and apps can go on strike so it’s a good thing to play safe and have flight numbers and booking references, hotel names and airbnb contact information in my travel journal as well. Next to my itinerary I like to keep travel tips, currency exchange rates, restaurant recommendations and basically all kinds of useful information in my travel journal. When I know a museum has a closing day or weird closing hours I put it in there. When I know I want to go to a specific place and eat something specific I put the adress in my travel journal. You don’t always have access to wi-fi so it’s convenient to carry some information with me at all times. Writing has become a very important part of my day to day life. I am writing on a daily basis for years and when I don’t write anything for a few days I start to miss it. It’s my outlet and I love producing words that form into sentences that form into information that form into some kind of story. I can’t imagine not to write for a month when I am travelling. So my travel journal is the perfect place to keep up with something I need to be happy. Okay this is the very obvious reason but it’s just great to re-read all the funny things that happen on a trip you can’t remember anymore after even only a few month. When I was reading through my trip to North America last summer I stumbled upon a very funny dialog I overheard at a Starbucks in a small town in Arizona. I had completely forgotten about it. But I had taken a few notes and just like that the whole situation was present to me again. And made me laugh again! Then I made the mistake to read through my Rome journal from 4 years ago. And now I have severe withdrawal symptoms…. This one is also linked to the above point. When you travel, especially when you go to the same places for more than once after a while memory starts to betray you. You mix up situations and places. Especially when people ask for travel tips and recommendations Stefan and I often can’t agree on specific facts. So it’s great to have a reliable travel buddy aka my travel journal where I can read about what exactly had happened. How great (or not so great) was a certain restaurant? Or what was our favorite type of local beer? We may not remember but the travel journal does! I also love to skim through my old journals when I plan visit a place for the second or even third time. Not only does the journal provide me with a certain mood typical for the respective place/ city it also contains a lot of useful information. Like the name of the airbnb host or hotel we stayed in. Or as I mentioned above I also keep some information about places I want to visit in my journals. So chances are good I haven’t seen or done everything I had originally planned. So this is a good starting point for further planning. As I mentioned in the beginning of this post my travel journal is also a source of distraction. For the times when I am tortured with wanderlust in phases of my life when travelling is not possible. Even though in Germany we are lucky to have a lot of leave and also a lot of public holidays, days off are not unlimited. The downside of travelling for a whole month in summer is definitely the lack of leave days during the rest of the year. Also even though I have a job that allows me to save money for travelling, money is not unlimited either. Sadly I can’t just embark on all the trips I would like to take just like that. So in the phases between travelling sometimes it keeps me sane to remember all the fantastic places I have actually already been. Saving me from only dreaming of those I still have to explore. The cool thing about my travel journals are that none of them are the same. Typically I tend to just write what happens, what places we have been and retell our days. I am very precise and fill my journal with a lot of details. I rarely stick in any memorabilia or tickets or bills. Still I like to play with it and make it pretty before I go on a trip. But anything is possible. My sister-in-law desiges photo books of their travels. One of my friends creates rather professional scrap books. I know people who capture thoughts and feelings and some get inspired to write little poems when travelling. Anything is possible and I really enjoy the creative potential a travel journal holds. 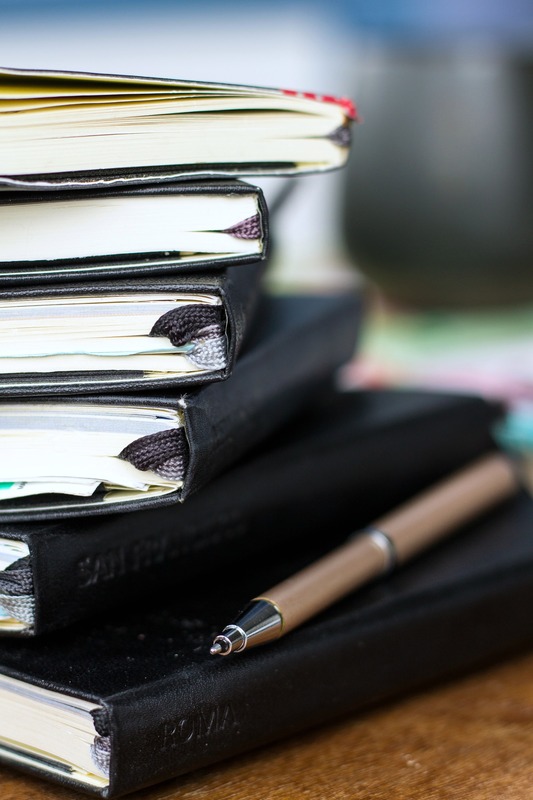 Do you keep travel journals? P.S. I am sharing my never-ending wisdome out loud today! I adore keeping travel journals and then reading them over and over in the years afterwards. You are so right, there are so many little details that you just forget over time but are so easy to jot down there and then. I always have a note at the bottom of what I had for breakfast, lunch and dinner that day and where – yeah the food is always the priority to remember! Haha! As (most embarassingly) pretty much 90% of the fun I have when I am travelling is due to the exciting food choices you have in other countries I am totally with you. I think the idea of a travel journal is fantastic. I myself keep mementos (ticket stubs, restaurant receipts if it was particularly good) and I jot down my overall impressions of the trip in a note on my iPhone. Of course, I have tons of pictures too, especially the food and I love to see and remember a specific meals, places, events. A journal though is far more advanced than my simple notes and I really, really like the idea. That’s actually exactly what I mean. I love how versatile such a travel journal can be. I think notes and mementos definitely fall under that category too. So cool! 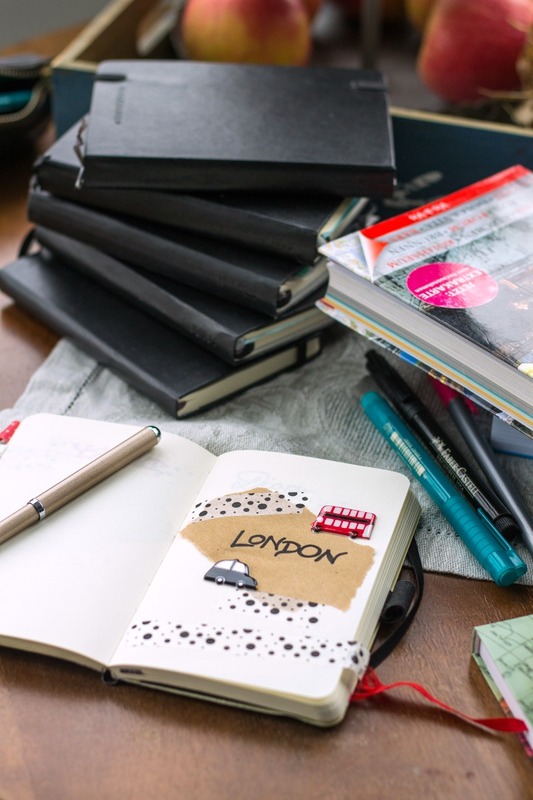 I love the idea of keeping a travel journal and I totally will be doing it on our next vacation. There are so many times we’ve been talking about a past vacation and can’t pinpoint a name/dish/dish/date/location and it’s a bummer! I kept a serious journal when I did a cross country bike trip, but didn’t feel write incorporating other travels into the same journal. Then my mom got me a little index card sized journal for Christmas a few years back & I’ve been using that. I love the cover & it’s just the right size that it is never a burden to squeeze into my bag, no matter how full. I loved reading things over. Apparently I mostly just write about food & random other bullet points. But it’s such a great thing to do. That sounds great! For the longer travels I like to start a new journal each time but for the shorter ones I have one journal where I add a new ‘chapter’ for every new trip. I love this so much! When I went to Spain in high school I wrote down so much and reading through the journals a few months ago was so cool. It was cool to see how much I grew in 8 years. It was also entertaining to read the random things I wrote:) This is such a good idea and I want to start doing this with my future travels! I always enjoy reading travel journals from anyone. My husband travels a lot so it’s so much fun reading his stuff. Thanks for sharing. I love this idea- It’s funny how I think I have some amazing memory but then looking over pictures, I forget something. It can (as you’ve shown) be useful in so many other instances too (like an itinerary!). I kept a travel journal when I did a commercial in 2000 (I need to tell you about it…I went to Africa lol!) and looking over it brings back so many memories! Even a bit more questionable than only forgetting thiings is the fact that I tend to mix up so many facts.